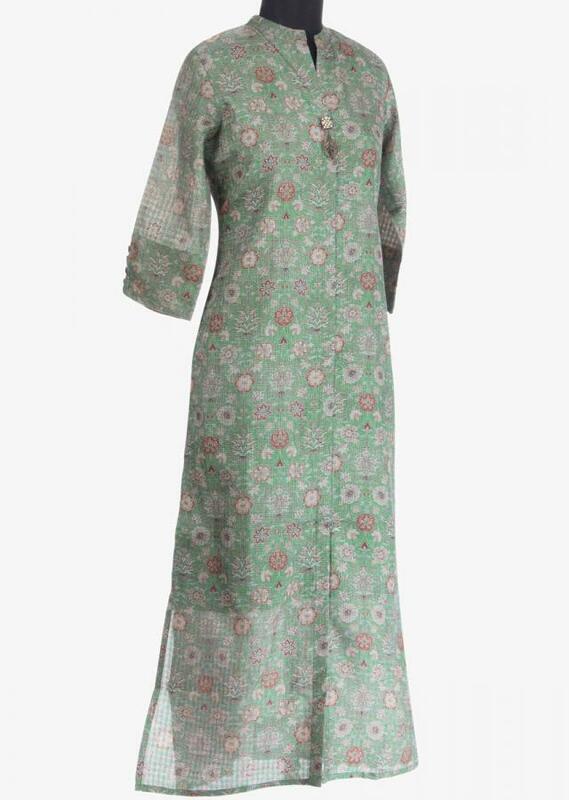 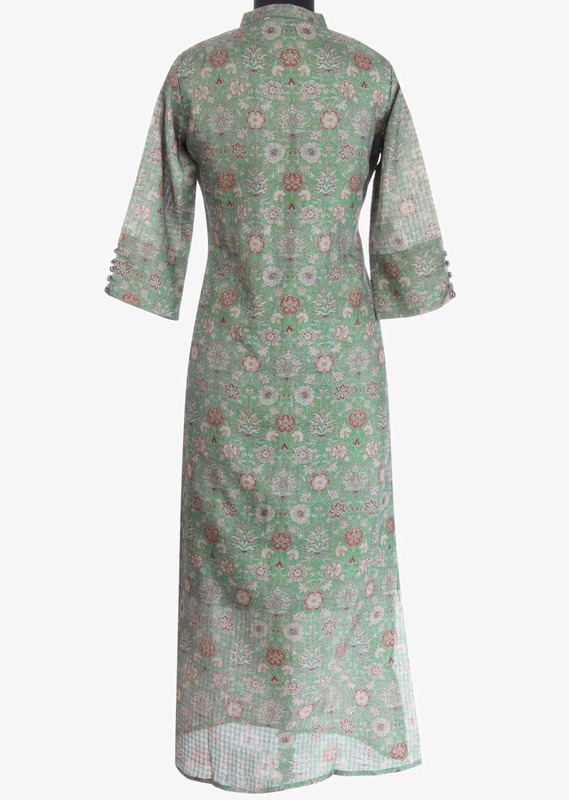 Olive green cotton silk kurti in self flower print. 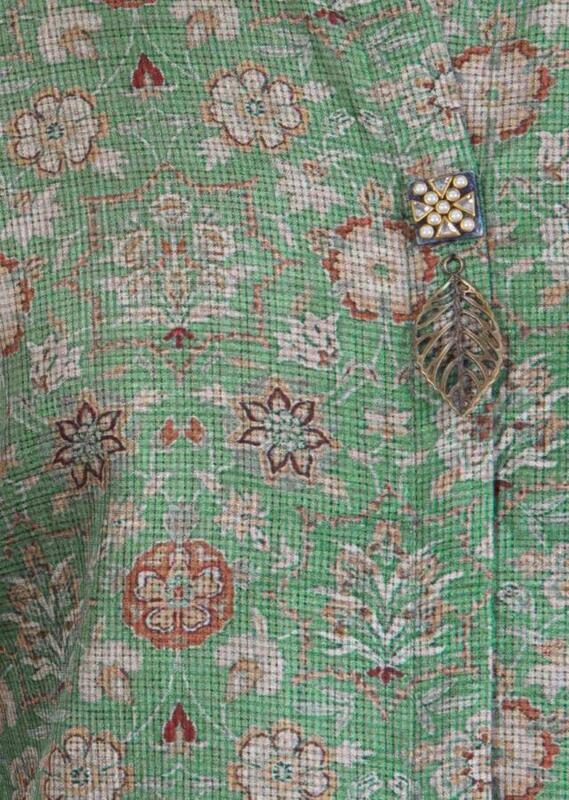 It Comes with placket enhanced with fancy tassel. 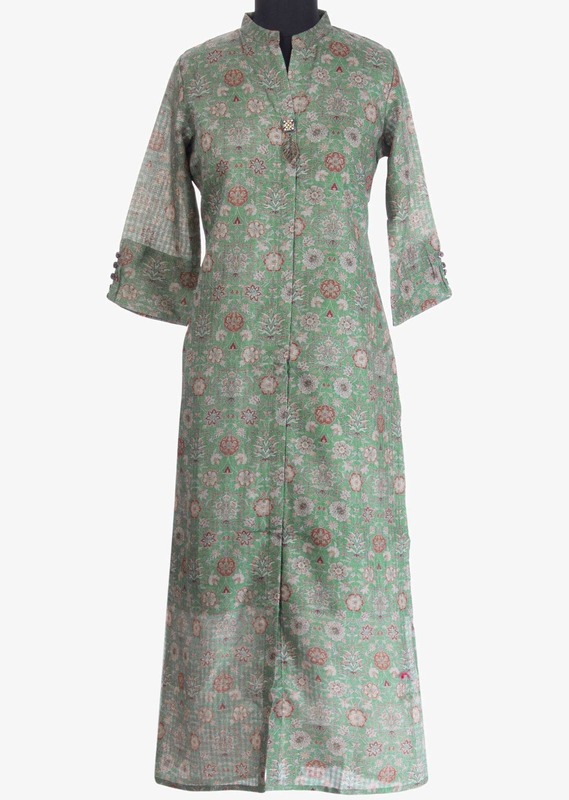 It comes with a stand up round neck collar with 3/4 sleeves adorn in loop button.